Personalized Business Letterhead - Value Full Color Letter Sheets - 8.5" x 11"
StationeryXpress provides high-quality & affordable personalized stationery & gifts for a lasting impression. 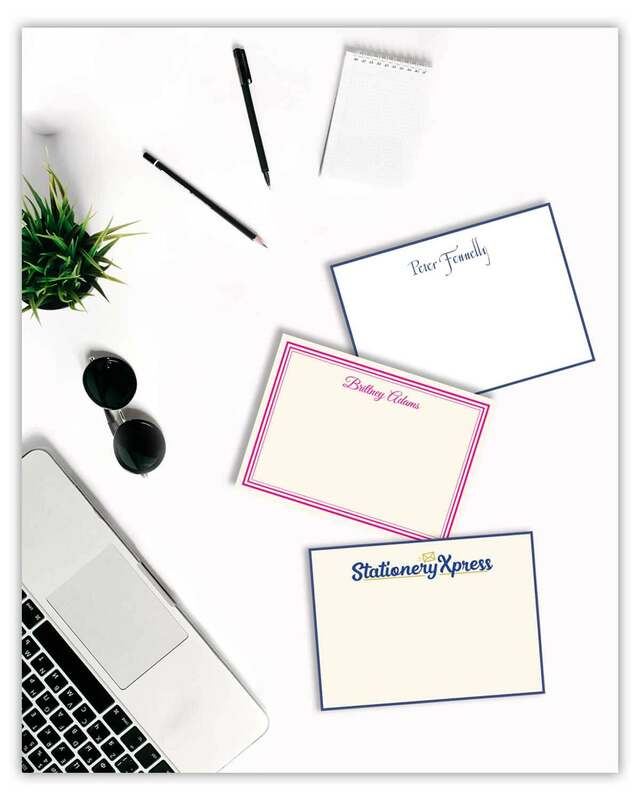 Our mission: Ensure that everyone can leave a meaningful & significant impression with their friends & family with our extraordinary selection of personalized stationery, embossed stationery, personalized notepads, invitations, personalized napkins, custom stamps & gifts. We're here to help make every correspondence extra special. Our customized stationery, stamps and gifts offer a much more personal touch than other generic off-the-shelf gifts from the local store. Your gift recipient will hold your gifts dear for years to come. When you go the extra mile to create truly unique embossed stationery or customized stamps, you let your loved ones know you truly care about getting them the perfect gift...a gift with their name on it! If you're looking for unique and personalized wedding or party napkins, you've come to the right place. At StationeryXpress, we have gorgeous party and wedding napkins that will add color and a festive flare to your event. There is no better way to show your thoughtfulness and appreciation for their special day, no matter what the occasion! Do you have thank you notes to send out to your clients or customers? StationeryXpress also specializes in fully custom personalized business stationery. We will help you create the perfect personalized stationery for your day to day business correspondence. Your Logo will be used to leave a lasting impression, whether it be embossed (subtle raised impression) or raised ink printing (thermography). Custom Your Logo products are perfect for business gatherings, thank you cards, birthday greetings and personal messages alike. Our friendly and professional team can assist you through every step of the ordering process. For your convenience, orders may be placed online, by live chat or by phone.